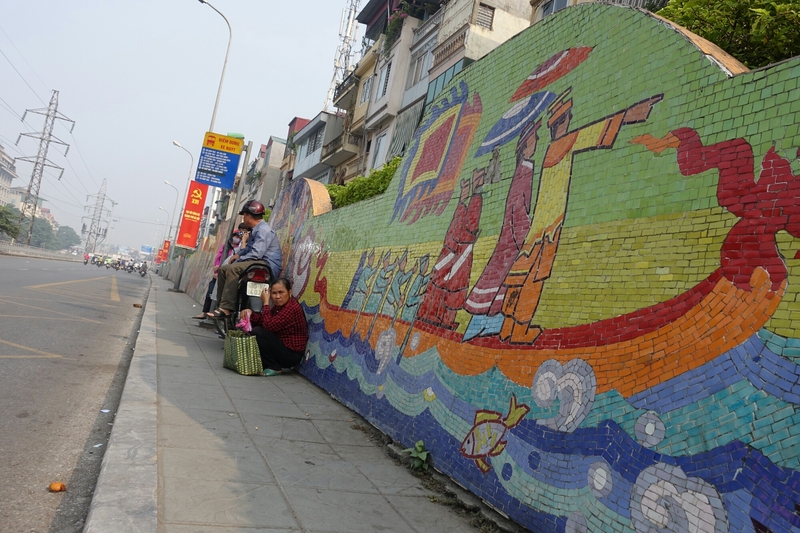 I only walked a short section of the world’s longest ceramic mosaic on a wall that protects against flooding of the Red River in Hanoi, Vietnam. Yes, it’s a great work of art. I wish I could have seen more of it. The wall is very long, and it was very hot that day. I walked north for about 1 km, then turned west and walked around town. I believe the total length is something like 4 km. Thanks for your comments. I wish I had known about your blog when I was in Hanoi.